Are you interested in what the Bible has to say about the meaning of life, the planet we live on, what the future holds for mankind, who God really is? 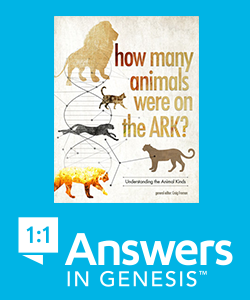 The Bible provides answers to all of the above questions – and so much more. It claims to be the Word of God, challenging us with its Divine origin. Five hundred times in the first five books, it prefaces or concludes its declarations with the assertion “The Lord said” or “The Lord spoke”. Three hundred times again in the following books it does the same. Similar expressions occur not less than twelve hundred times in the prophetic books. The Bible claims to be the inspired Word of God, as the writer to the Hebrews says in his opening words, “God, who at different times and in different ways, spoke to us by his servants the prophets, has in these last days, spoken to us through a Son” (Heb. 1:1). It tells the story of the origin of life, the creation of man and woman and their descension into mortality and corruption; their offspring and its failure to realize the reason why God had made them; the bringing of the great flood and starting things over again, this time with one man’s family. It tells the story of the origins of the nation of Israel, their special place in the Divine purpose and the laws that were given to them; how they failed to keep these laws and the consequences they experienced; how they wanted a king and so a new era began – the age of the Kings of Israel; their evil and idolatry and their deliverance into exile in Babylon and return therefrom. The birth of the Lord Jesus in Bethlehem, his life, his teachings, his crucifixion, burial and resurrection; his commission to his apostles and the preaching of the gospel in all the world. The five books of Job, Psalms, Proverbs and Ecclesiastes are the poetical books of the Bible. Eighteen books of the Bible are dedicated to prophetical utterances – Isaiah, Jeremiah, Lamentations, Ezekiel, Daniel, Hosea, Joel, Amos, Obadiah, Jonah, Micah, Nahum, Habakkuk, Zephaniah, Haggai, Zechariah and Malachi. One notable New Testament book is dedicated to prophecy – The Book of Revelation. This book captures so many concepts, images and contexts from the Old Testament and repurposes them into its own context of symbols and structure, thus creating a “secret code” for those who already know the rest of the Bible, so that they can understand its message. The epistles of Paul, James, Peter, John and Jude were written for the guidance of the early communities of believers. Each contains its own theme. James speaks of faith in action; John explores divine love in manifestation; Jude contends against falling away from the truth; Paul expounds the depths of the gospel – the atoning work of Christ; how the Lord Jesus succeeded where Adam failed; how the Law of Moses has been surpassed by the power of Christ’s resurrection; how the grace of God is available to those in Christ – and so much more.